2018 was a big year for music with a lot of bad albums that came out from big artists. If you don't know about Trackwave, well what we do is we hunt down all the critic reviews we can for new albums and tell you what percentage of critics liked them so you can see if there good or not. It's more accurate than an average because a lot of critics don't use percentages and it's more reliable to assign a like or dislike to a critic review than a percentage. So we're the most accurate site to check if albums are good or not. We usually have at least twice as many reviews as anywhere else and we work incredibly hard to bring you the releases that are most worth paying attention to so you can get a fast snapshot for the week in music. And now it's a special time of year because we can bring the albums we have together and put them onto one list so you can see for yourself what the worst albums by critics were. We've picked the albums that have over 10 reviews and had a like score of less than 60% of critics, then ordered them by score, so take a look. You won't find this anywhere else. We've only started in the summer of 2018 and have been working hard each week on new music so we don't have the older releases yet but this should give you a good overview of the newer albums and an outline of what to expect when our even better top-notch 2019 album list comes out in December 2019. 6ix9ine takes first place, Quavo second place, and Future & Juice Wrld third place. Lil Yachty takes fourth place. And Kanye West rounds out the top five. Critics have piled onto some of the bigger names in music bringing them down. It seems smaller artists that put out bad albums will likely get ignored but this also happens to bigger artists too quite often. For instance Iggy Azalea's new album only got five critic reviews that were bad. The other hundreds of critics just decided to ignore it and maybe you won't see it anywhere else because it kind of went under the radar but it's here. 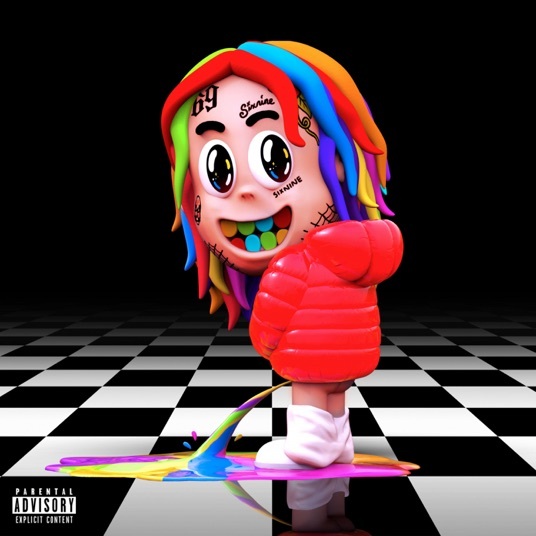 6ix9ine was slammed for his lack of talent and he got the most pounding with 15 critics giving it to him at a solid 0% in 1st place, Iggy Azalea got hit by five critics reviews with none liking it at a 0% as well in 2nd place, Quavo from Migos' debut album didn't go so well in 3rd place at 15%. Future & Juice Wrld sounded more exciting than it was in 4th place at 18%. Lil Yachty was scolded for being unoriginal and just doing what everyone else is doing (5th place). Kanye West got an 18% and 6th place especially for his short seven track album. Post Malone might be popular and selling really well but he made the list in 9th place at 28%. Christina Aguilera should have been exciting with her first album in six years but it's in 10th place with a 29%. Bebe Rexha has some great collaborations but her debut was received harshly in 12th place at a 40%. And Wiz Khalifa is still going but comes in at 14th place with a 42%. Many other names scored low on Trackwave but were not qualified for this list as they didn't have at least 10 reviews. Better luck in 2019 and in the future to all. And if you haven't already check out The Best Albums of 2018 and see our other stories.